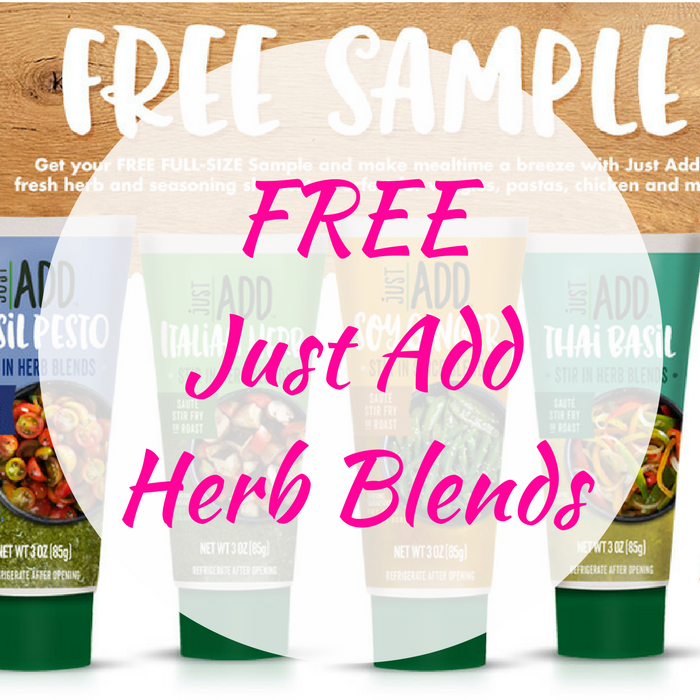 FREE Just Add Herb Blends! You are here: Home / FREEbies / FREE Just Add Herb Blends! Here’s a great FREEbie for you! Head over here to score a FREE Just Add Herb Blends by just simply filling out the short form! Expect your FREE sample to arrive within a few weeks! Enjoy!